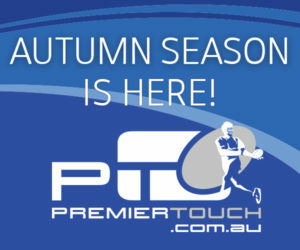 Premier Touch is one of the largest touch football competitions in Australia, providing an organised competition for up to 200 teams across 3 seasons per calendar year. Premier Touch is committed to providing a fun, enjoyable and easily accessible competition, and offers social and competitive Men’s and Mixed divisions. Players range from 14 years to 60 years of age, from groups of friends to families and corporate teams. We offer both competitive and social divisions, so you can play with teams at a similar level to you.